A cop goes up against his lifelong friend, who has become one of the city's biggest drug traffickers. Since several years now, we can assist at the new birth of the french crime film industry. Thanks to guys like Olivier Marchall. And he is one of the characters of this dark tale of cops in perdition, in total distress. Cops who have to affront corrupted politicians, police force executives and gangsters. A world where everything they approach can be a trap. A death trap. A world with no place for redemption. No hope. A daily fight for surviving. 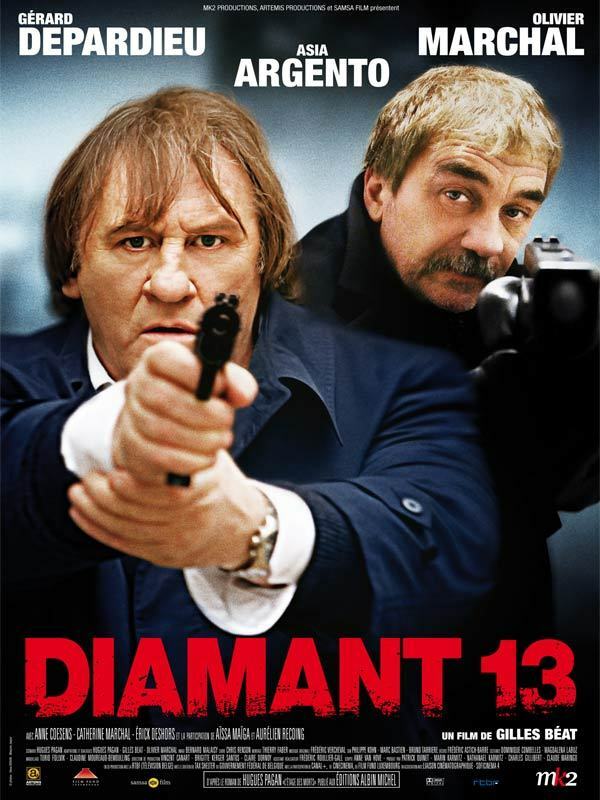 Depardieu is quite good in this film, but not at his best ever. Marchall is as sharp as usual. So terrific. And touching too. This story is an effective adaptation of a Hugues Pagan novel. Pagan is an ex cop who quited the force, totally wiped out from the inside, destroyed by all the filthiness, trashy things he had to live with. So Marshall - an ex cop too - come from the same world, the same nasty life. The darkest side of the human kind. The film is worthwhile, but not for the sissies. And I am very pleased that the director - Gilles Behat - is back after so many years of retirement from the movie industry to the TV one. A great turn by Gerard Depardieu. While he is playing the main role and his character is written straight forward, he gives that man edges. There is a scene where he is looking at another person and you can't quite figure out, what he's up, what his true feelings are (his look is fatherly, but at the same time also menacing ... and curious) ... his facial expressions, his acting ability in general is really great and he really enjoys his role in this movie. While he is great, there are of course quite a few other things, that are letting him (and his performance) down. There is Asia Argento (very obviously and badly dubbed in french) and quite a few story tweaks, that you have to work around. If and when you do that, you will enjoy Gerard's almost one man show. The question is, are you willing to do that.